One common question that is always present in every project conversation: how do you engage the stakeholders to provide their input and convert it into a collaborative approach? Pull planning is a collaborative process that can help to get buy-in from all project participants using a backward pass, pulling activities into the process. 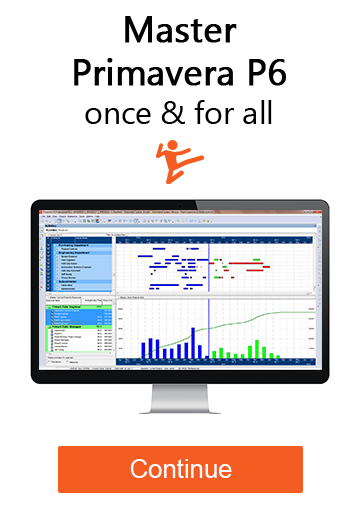 Pull planning is a lean process and is starting to substitute many scheduling techniques and works by identifying activities that are compressed to reduce overall activity duration. Pull Planning or Traditional CPM? A typical pull planning process differs from a traditional CPM as it requires collaborative feedback from the actual crew leads performing the work and starts at the end moving backwards into the project start date. A traditional CPM schedule is usually only worked by a single person using his or her best knowledge. It then gets pushed into the project team as a document that needs to be followed. The CPM planning process is mostly based on duration and is a forward looking process, as opposed to pull planning that works in a backwards sequence. To develop the pull planning process, you need first to identify the right crew leads that will provide their feedback and updates based on their execution plan. Second, get a big white board, as the process requires ample space, so individuals can use the surface and stick their notes on the board. These sticky notes are placed over the whiteboard containing the overall project timeline. Make sure the timeline is in weeks or a defined period and all major milestones and activities are in sequence. Why do you need sticky notes? It is the easiest way for all team members to add their feedback in terms of duration and resources needed to complete the task. The idea is to receive input from the team members that can assess the work that needs to be done and find ways to get it done faster. Start by inviting the right crew leads to the meeting. They are necessary for providing input during the process. Provide coloured sticky notes for each participant to avoid miscommunication. Identify Milestones and critical activities that are part of the contract requirements. Draw your project timeline and estimated durations. Those durations will need to be tweaked depending on the participant’s feedback. Look for activities with no float or contingency and target those activities first. Make sure to ask yourself the questions, does this activity really depends on the previous one? What can we do? Can we start earlier? No one can alter or modify someone else’s sticky notes. Sticky notes shall have name, duration and resources being evaluated. Be aware that resources could be adjusted or moved to other activities. Do not over commit. Be real and allow feedback from participants that have experience in the task. Be cognisant that altering one activity’s duration might affect a second of even a third task. Make sure all participants agree on the recommended changes. Once completed, share the revised schedule and held participants accountable of their feedback. Update the schedule on a weekly basis and revisit the plan every other week. Based on the revised schedule, capture and track progress accordingly to make sure progress is being achieved. Provide updates, if needed, to your crew lead as needed. Be sure to create a lesson learned database so the next schedule on future projects is more realistic. Why Start Using Pull Planning? The pull planning process is a tool that creates teamwork and better support, providing the right level of engagement from all work participants, including tradesmen. The process creates a good workflow and generates buy-in from task participants. It also serves as a tool to generate transitions between tasks, understanding in detailed the level of effort required to complete the work. Studies show that the process increases safety and quality when the right players are engaged. The pull planning process reduces the need for re-work, minimizes risk and cost by having crews standing by waiting for their task to start. One last thing, the process can be started or implements at any given time during the project execution, but the sooner the better. Having the right key members at the meeting is extremely beneficial, but be sure to add only the crew leads otherwise you will end up having difficulties of generating buy-in. What are you thoughts on Pull Planning? Let us know what you think about pull planning below. It’s very interesting that we can assign new names to what boils down to proper schedule and project management methodology. I’ve been using this process to develop and manage schedules for about 20 years very successfuly. Whatever you want to call it, it works. Thank you for your time and effort in promoting proper project management. Disagree. Emphatically. All CPM scheduling efforts should be collaborative. I have been involved in several “pull planning” sessions and there is “nothing new” going on. In fact, the “right-to-left” approach has been more of a bane than a benefit. We’ve typically reverted to a left-to-right thought process. The key in all this… a dynamic multi-disciplinary leader who understands the full project scope as well as the “essence” of CPM scheduling (i.e., proper and appropriate activity level-of-detail definition) — with the ability to effectively and efficiently lead and facilitate the process. An experienced scheduler fits this bill — although at first the “superintendent” is typically designated as the leader/facilitator. I’ve typically had to step-in and take the reins as the process can quickly become unwieldy without the right point-person. Juan, while I agree 100% with your recommendations, this is nothing new at all. As a general contractor during the 1970’s – 1980’s, this is how we used to do it all the time- and this was even before “sticky notes” were popular. The Guild of Project Controls has identified this method as a “best tested and proven” method in their Compendium and Reference http://www.planningplanet.com/guild/gpccar/identify-capture-schedule-activities Figures 2 and 3. Right-to-Left, Left-to-Right. As a prime industrial contractor, we used both procedures on large, multimillion, multi-year projects back in the 80’s building paper mills, power and cogeneration plants, and cement plants. We’d begin collecting the prime’s trades and subcontractor’s individual schedules, assembling them on a monthly CPM schedule. Often we would develop CPM landmarks by consulting with individual contractors with adjoining time/place/tasks. Skull sessions among 2-4 contract parties would resemble “pull scheduling” in that we would back-track (right to left) each schedule to identify delays, choke points, site safety conflicts, and over-committed site use for work, equipment staging and laydown areas. In reality, there is always a crane pad in the middle of the main access drive at the wrong time. I don’t know how I could have ever arranged such large meetings in a timely manner with dozens of key construction personnel, many spread around the country on other jobs. 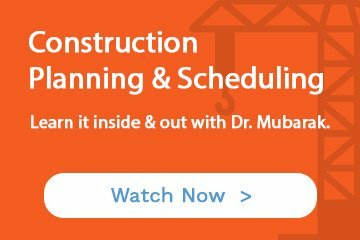 Lean construction scheduling would have to be performed during a 2-3 wk. pre-bid period prior to bid opening to establish unit costs, construction phases and a substantial completion date for bid application. We would often be estimating/scheduling 4-8 bid packages involving multi-employer projects at any one time. And many of the subcontractors would be involved in more than one bid simultaneously. Many times subcontractor’s bids were delayed until the 11th hour waiting on material supplier’s estimates and proposed delivery schedules. This sort of chaos was the reality for several decades I was an estimator/project manager here in the NE. Many times we would win a rushed bid, only to realize we’d left money on the table, didn’t double check/challenge subcontractor’s numbers/schedule, prayed the structural steel could be fabricated in time, union labor disputes would be resolved or winter would be mild and frostline shallow. If we had installed reasonable “fudge factors” our competitors would win.